Quality communication is the key element of every successful business. It is the cornerstone of how knowledge is dispensed to your team, your partners, and your clients. The way your network is structured plays an important role in how effective those connections are. Phoenix is your multi-faceted solution to all your cabling needs. Having extensive experience in the cabling industry since its infancy we can anticipate any issues that may come up, and head off any potential problems that may arise down the road before they become a hindrance. We can assure you the best in quality, professionalism, and our promise of the best value for you budget. During our consultation, we utilize our expertise to recognize and recommend the best methodology to install your cable infrastructure and maximize the performance of your network. We will accurately assess the best solution and value for you. From start to finish, we make sure that we design and implement a structured data system that will be every bit reliable as you need it to be. It's our mission to provide not only the best system, but the peace of mind of its functionality. We make every effort to ensure that once you are connected, you stay connected. Once work is complete, we will provide documents regarding testing and cable locations/labeling. Since we are committed to your satisfaction, we will periodically follow up with you to make sure you are completely satisfied with your office technology solution, and share new technology that may benefit your organization. Keeping a clean server room is an important part of maintaining the network itself. Old labels, loose cables, and general disorganization can make troubleshooting your network issues a time-consuming chore. Additionally, over the course of time, there will be instances where the network will need to be updated. Sifting through a mess of unorganized or improperly managed cables slows progress and can lead to errors that can impede the performance of your business communications. 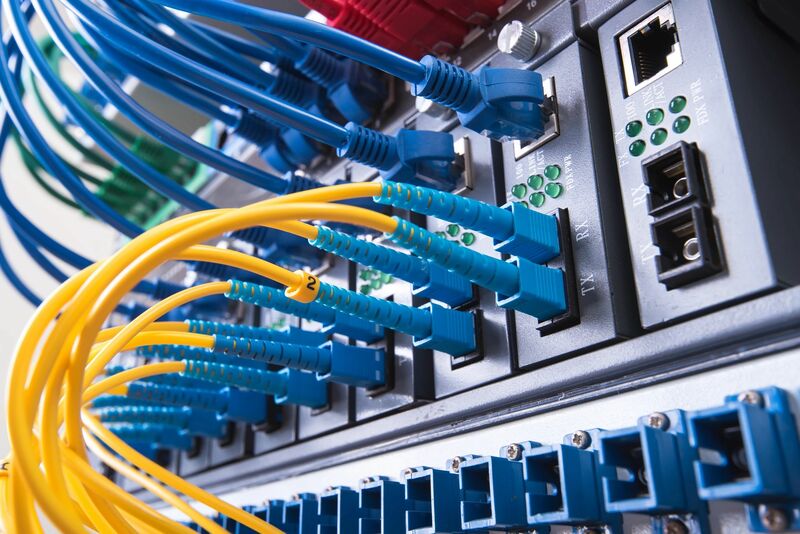 Whether it's company growth, an office move, or a system upgrade, we want to make sure your network cable infrastructure can perform efficiently to save you time and unforeseen costs. As a courtesy we can meet with you to review the current status of your existing cable infrastructure and make recommendations that will enhance the network connectivity for your business. Contact us today to for your no-cost consultation. As a member of the U.S. Green Building Council (USGBC) Dallas Chapter, we know how important a clean, green office environment is. Electrical Code and Fire Codes states “tag it or remove it.” We can help with either cable inventory and reuse, or complete removal. For proper and efficient removal we work from the telecom closet out to the workstations to prevent any accidental cutting of cables that may be run to another tenant space. We also remove all cabling from ceilings, where accessible, including in riser space and work spaces.